John Traynor was raised in Southern California, on a steady stream of comic books and television. He moved on to science fiction books and movies. While a life-long reader of fiction, he has spent his life writing technical, and other non-fiction literature. 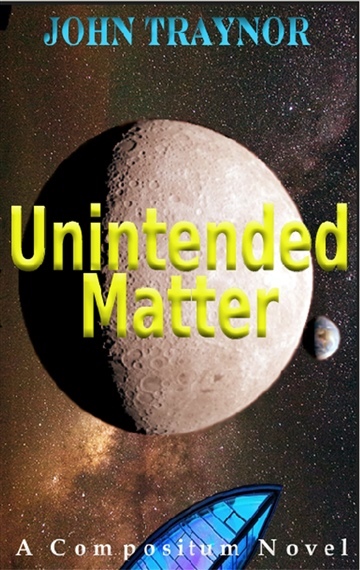 Now with his first novel, Unintended Matters, he combines his personal approach to writing, with his love of science fiction and fantasy. His writing style takes into account the avid reader's desire for escape by being immersed into an imaginative tale, along with a movie goers simple desire to relax, and enjoy an exhilarating experience. If you would like to be notified of future releases, special discounts, and sneak previews drop an e-mail to john@supplyshoppes.com. He currently resides in Chesterfield, Virginia with his wife, step daughter, two in-laws, a cat, and a Pomeranian.